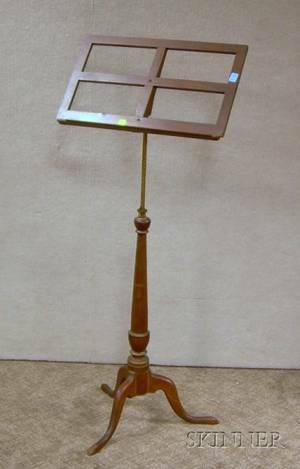 011439: JAPANESE WATERCOLOR ON SILK, C.
MAHOGANY AND CAST IRON MUSIC STAND:Tray center and cast iron base. 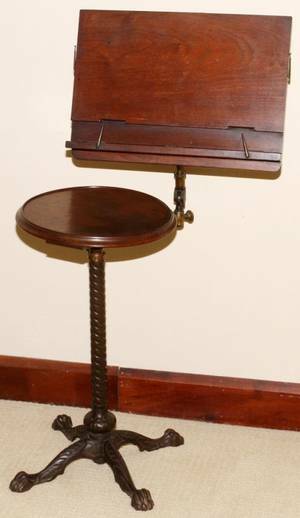 Gilt-decorated Mahogany and Cherry Sheet Music Stand. 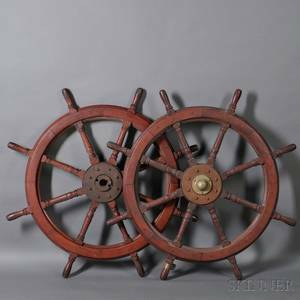 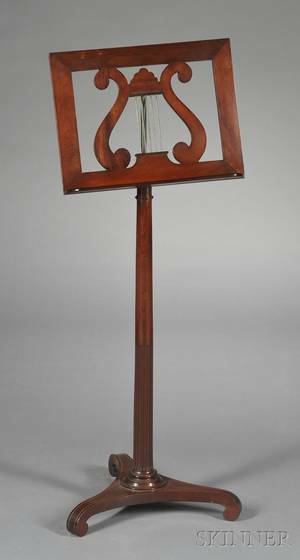 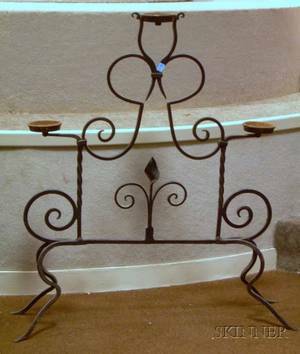 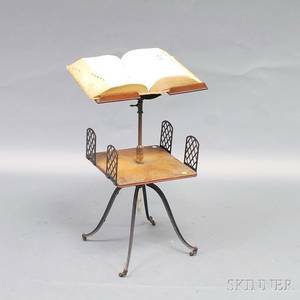 1331: Wood and Iron Music Stand. 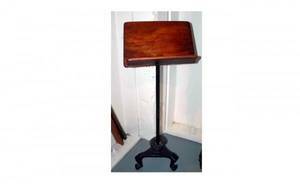 Oak and Cast Iron Sheet Music Stand and a Wooden Coat Tree. 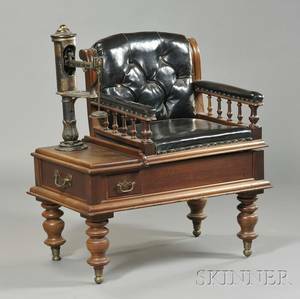 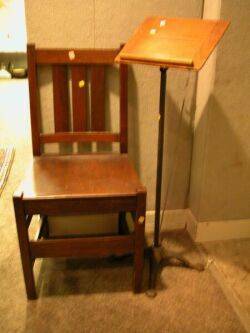 Arts and Crafts Oak Side Chair and an Oak and Cast Iron Sheet Music Stand.